The importance of oral health has skyrocketed to the top of many concerned patients’ to-do lists, as studies link disturbing diseases and health conditions to common dental issues. And while an acute case of gum disease might seem improbable now, some of these serious maladies have a habit of sneaking in and quietly compromising your oral health without you even knowing it. Like a robber sneaking in to burgle a home, so too does gingivitis sneak into your gums threatening the longevity of your natural pearly whites. Your smile is after all, the first feature people notice upon meeting you, so it is imperative to keep a healthy and happy set of chompers that you aren’t afraid to show off. That’s why it is so imperative to hop on the Electric Toothbrush bandwagon and see for yourself what countless studies have proven – that the electric toothbrush is the perfect tool to achieve optimal oral health. Research shows that a manual toothbrush only fuels 300-600 strokes per minute, while electric toothbrushes average 30,000-40,000 strokes per minute. That’s 100 times more strokes with a powered brush compared to the old school manual models. And while flossing still remains a vital factor, the powered toothbrush allows rapid, fast movement in hard-to-reach places, eliminating potential hidden cavities as otherwise unnoticed plaque is scrubbed away. As every other facet of today’s emerging world becomes automated through the use of efficient technology, it makes sense to bring the same fervor to your mouth. With so many studies clearly proving the superiority of the powered toothbrush, it makes sense why so many different models with different features are available today. And we’ve taken the time to sort through these features so you can decide for yourself whether a manual toothbrush or the Electric Toothbrush is right for you. An important thing to remember when shopping for a new powered toothbrush, is that a big price tag does not necessarily mean a better product. We discovered that many of the large ticket items missed the mark. For instance, one of the expensive models we came across exerted a high amount of pressure at 190 g/f which seemed to cause discomfort to the gums. This model still proved better than manual toothbrushes, which saw forces in excess of 250 g/f. The best pressure range that provides thorough cleaning and avoids gum damage, is between 80-180 g/f. 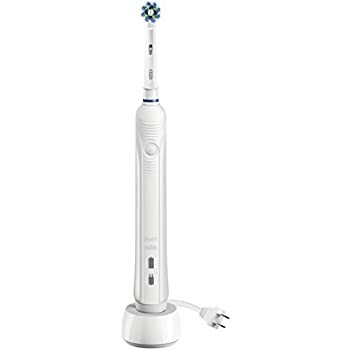 In addition to pressure force, you also must note the movement type of each of these electric toothbrush heads with two most popular actions being the rotating-oscillating heads vs the sonic. In general, the rotating-oscillating bristles showed to be better at removing plaque from your teeth than its sonic counterpart. However, some people do prefer the vibrating pulse of sonic toothbrushes over the circular motion seen in the oscillating brushes. This model received 5 stars on 46% out of 6,171 reviews. Showing 6,937 reviews on Amazon, customers gave 5 stars 70% percent of the time, 4 stars at 13 percent, and 5 percent giving 3 stars. This model received 864 reviews, with 81 percent of customers giving 5 stars, 10 percent giving 4 stars, and finally 3 stars given at 3%. 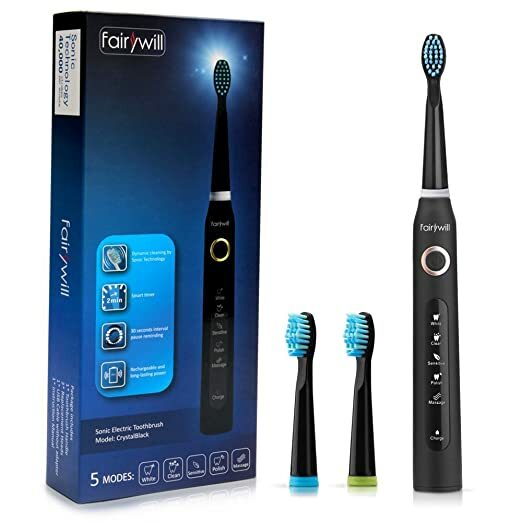 These electric toothbrushes are all incredibly similar, yet vastly different from one another and as you set out on your journey towards achieving long-lasting oral care, be sure to keep in mind which features matter to you and your mouth. The path to your new clean, healthy mouth now lays before you and hopefully this list will continue to be a resource and help demystify some of the more confusing aspects of the saturated powered toothbrush market. Now, smile! A happy, healthy mouth awaits you.